The AC-Cell 100 is a six-wheel all-drive crawler that can be configured with a range of wheel types and sizes to suit differing pipe diameters and terrain. Fitted with a low light front facing color camera, a light sensitive rear view black-and-white camera, and dual arc LED's at both ends as standard. 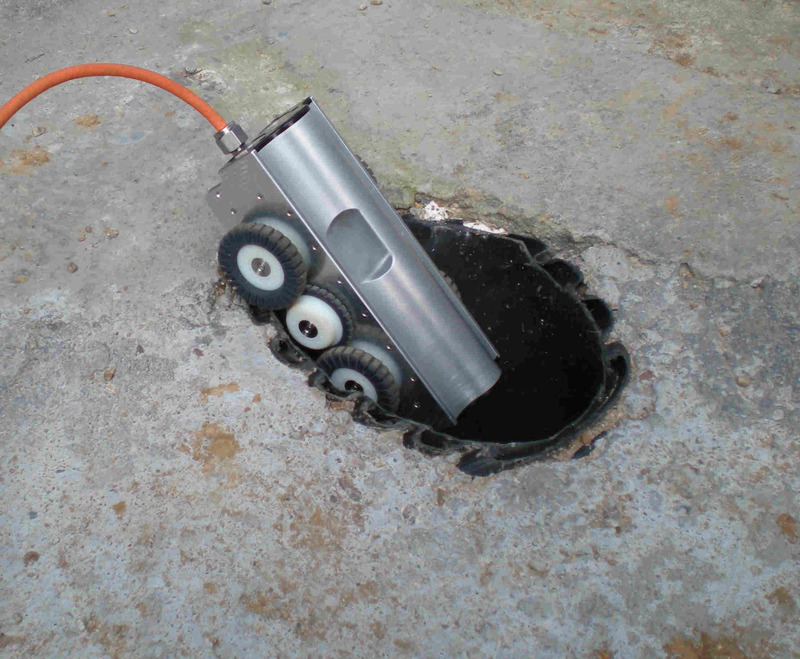 The AC-CELL is ideal for inspecting hard to reach spaces. * Robust and reliable low maintenance design. * Rugged waterproof hand carry case with a total weight of 20 kg. * Easily deployed in less than 3-minutes. * Single operator system in all aspects of its operation.